Famously known as the heart of India, Madhya Pradesh is said to occupying the most primeval lands in Indian topography. The affluent history of the state is evident from the magnificent architecture of ancient times. Prehistoric monuments found in several amazing tourist destinations if the state prove how brilliant was the architecture of bygone epoch. Tourists can visit these places to get drenched in to the culture and historical prosperity of the state. 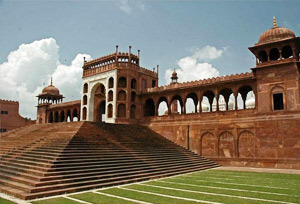 This 07 Nights and 08 Days 'Splendour of Central India Tour Package' takes the tourists to a pleasant and memorable tour to several remarkable destinations of Madhya Pradesh. The major destinations covered in this tour are Delhi, Bhopal, Pachmarhi, and Jabalpur. The major highlights of the trip are sightseeing tour to Bhopal including Laxmi Narayan Temple, Indira Gandhi Rashtriya Manav Sangrahalaya and Bharat Bhavan, visiting Sanchi Stupa and exploring the beautiful rock caves of Bhimbetka. On arrival at the Delhi airport, meet our representative who will be there for your welcome and thereafter to take you to your pre-booked hotel. Check in the hotel and enjoy a relaxing overnight stay in the large and spacious room of the hotel. After breakfast in the morning, we will leave for a sightseeing tour of Delhi and pay a visit to its major tourist attractions. Our Delhi's day tour includes a visit to Qutub Minar, Rashtrapati Bhawan, India Gate, Humayun's Tomb, Jama Masjid, Red Fort, Raj Ghat and Rajpath. Therafter, we will return back to the hotel for an overnight stay. 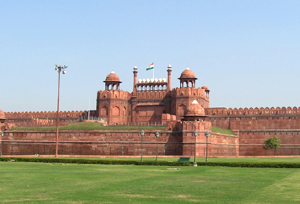 Delhi, the National Capital, is a pride of India that attracts tourists from all across the world. It has something for everyone. Right from the famous historical monuments, temples, gardens to museums, Delhi is blessed with ample of tourist places that are worth exploring. In the morning after breakfast, we will check out from our hotel in Delhi and drive to the airport/railway station as per the chosen option to reach Bhopal. On reaching, meet our representative who will transfer you to your already booked hotel. Check in at the hotel and thereafter, we will leave for a sightseeing tour of Bhopal and visiting famous places such as Bharat Bhawan, Indira Gandhi Rashtriya Manav Sangrahalaya and Laxmi Narayan temple. After exploring these places, we will return back to the hotel for a comfy night stay. Bhopal, the capital of Madhya Pradesh state of India, is well known as the "City of Lakes" for its various artificial as well as natural lakes. It is one of the greenest cities in India. The city portrays a perfect blend of modern urban planning, scenic beauty and old historic values. 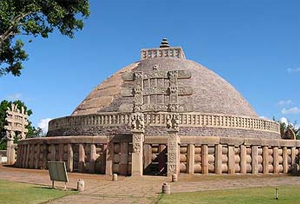 Today after breakfast, we will go for a tour to the Sanchi and visit its famous Stupa and Museum. After exploring the Museum and Stupa, we will be back to the hotel in Bhopal for an overnight stay. Sanchi is indeed one of the important tourist attractions in Madhya Pradesh. It is a famous Buddhist pilgrimage destination and known worldwide for its stupas, temples, monasteries, sculptural wealth and monolithic Asokan Pillar. After breakfast in the morning, we will check out from our hotel in Bhopal and drive to Panchmarhi. En-route, we will stop at Bhimbetka Caves and Bhojpur. Thereafter, we will continue our drive to reach our final destination i.e. Panchmarhi. On reaching, check in at the hotel for a comfy overnight stay. 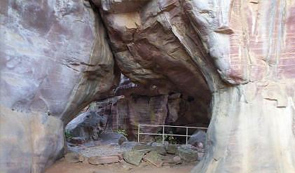 Bhimbetka Caves is an archaeological site of the Paleolithic, displaying the original traces of human life on the Indian subcontinent, and thus the beginning of the South Asian Stone Age. In 2003, these caves were declared as a World Heritage Site. Today after breakfast, we will leave for a full day sightseeing tour of Pachmarhi. After exploring this beautiful hill station of MP, we will return back to our hotel for an overnight stay. Pachmarhi is a popular hill station of Madhya Pradesh state. Located at an altitude of 1100 m in a valley of the Satpura Range in Hoshangabad district, tt is well acknowledged as Satpura ki Rani ("Queen of Satpura"). In the morning post breakfast, we will depart from Pachmarhi with some great memories in our heart and thereafter leave for Jabalpur. On arrival, we will check in at the hotel and thereafter embark on a sightseeing tour at Marble Rocks at Bhedaghatt. In the evening, return back to the hotel for an overnight stay. 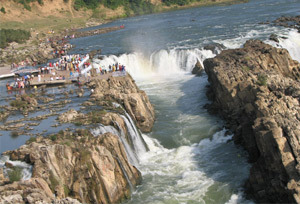 Jabalpur is an incredible city in Madhya Pradesh famous for its numerous tourist places that are worth exploring. Right from naturally gifted hills, waterfalls, ponds, historical monuments to rivers, the city posses a perfect example of natural beauty that is gifted by God itself. After breakfast in the morning, you will be transferred to the airport on the last day of the tour to board the flight back to Delhi.